Allergies affect more than 50 million Americans every year. 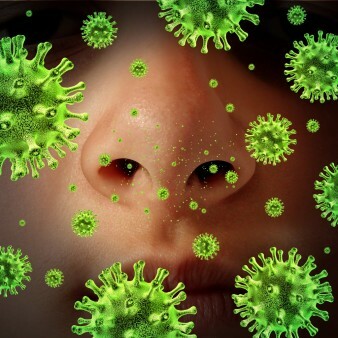 Symptoms can range from itchy and watery eyes and nasal congestion to anaphylactic shock. Along with taking antihistamines, allergy shots (immunotherapy shots) are often employed by doctors to help alleviate symptoms. But sometimes — 15% of the time in the case of allergy shots — this is not enough. The best way to avoid allergy symptoms is to avoid exposure to the allergen. With many airborne allergens such as mold, pollen, dust mites and animal dander, this task is near impossible — everywhere except in your own home. With adequate HEPA air filtration, moisture and mold elimination, and with proper seals, your home can be made into the allergy safe haven that it should be. Environmental Inspection Services indoor air quality association-certified inspectors will test for and identify sources of even trace allergy contamination in and around your home. Our tests include air, wipe and swab sampling for mold, pollen, dust mites and any other airborne allergens your doctor may find relevant. We also inspect your HVAC (heating, ventilation, air conditioning) systems for potential problems that may be contributing to making your life miserable. One out of every 10 FDA recalls for foods and drugs involve allergy contamination, often due to mislabeling. If you find that you are suffering allergic reactions to the foods you are eating even though they are labeled as not containing your allergens, we will sample them and send them in for lab analysis. 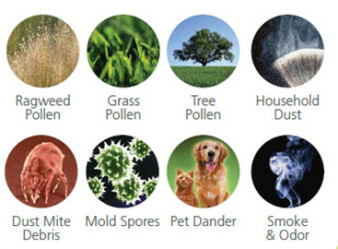 Furthermore, since people affected by severe allergies are more prone to chemical sensitivities, we can include VOC and SVOC (volatile and semi-volatile organic compound and formaldehyde) testing in your allergy inspection.